This site has evolved over 14 centuries from the monastery founded by St Lachtain in c. 622 to the church now standing. The annals record a church being built here in 909 AD. It was a simple single celled building comprised of a nave with antae at the western gable. Part of this gable may survive today. 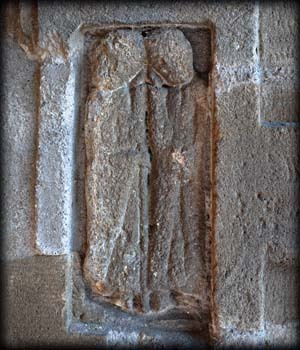 The romanesque doorway was added to the church in the 12th century. In the 15th century the nave was extended to the east and the chancel was added. Further alterations to the structure were carried out in the 18th century. The building was re-roofed and part of the west gable and doorway were dismantled and the neo-romanesque window above the porch was added. An annex, which is now used as the vestry, was added to the north side of the church in 1824. 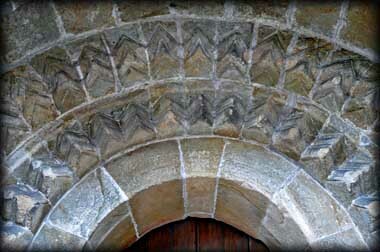 Built of sandstone the three ordered doorway has inclined jambs with a barrel-vaulted porch. 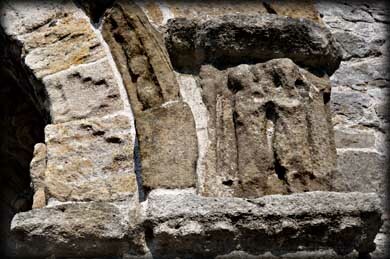 Sadly most of the romanesque decoration is now very weathered. But still there are some wonderful features to look out for. 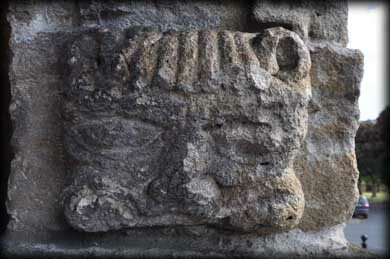 There is a human head on the keystone, a common feature on several Irish romanesque doorways, see Killeshin. 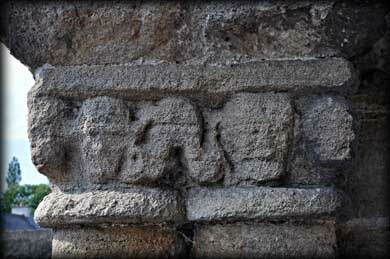 The arch has two rows of chevron and a plain soffit with an inscription across the face. It reads: Or do Gilla-Mocholmoc u Ce[nn]cucain do rigne. Or do Neim ingin Cuirc acus do Mathgamain u Chiarmeic lasndernad in tempul-sa. (A prayer for Niam daughter of Corc and for Mathgamain o Chiarmeic for whom this church was built). 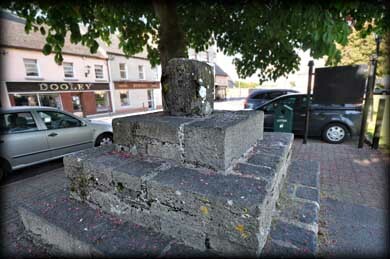 In the village square is an uninspiring base of an early 17th century wayside cross, pictured bottom right. Situated: Easy. St Lachtain's Church is located by the east side of the R369 at the northeast corner of the village square in Freshford. Discovery Map : S 4066 6478. Last visit June 2013.